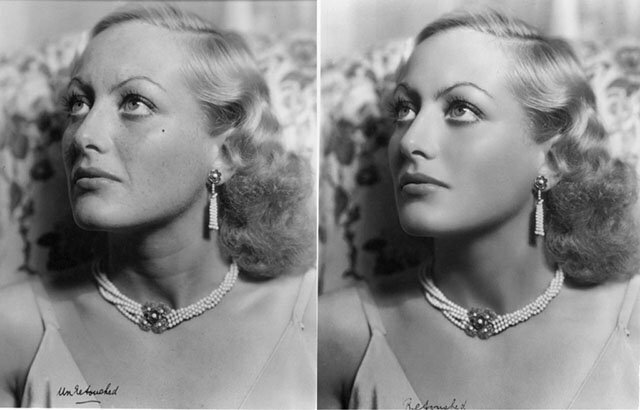 Interesting article over at Petapixel about early beauty retouching. Before Photoshop there were soft leaded pencils in contact with large format negatives. What I find interesting is the before and after, if one or the other image was presented on its own it would be accepted as a reasonably good portrait. When they are presented together however there is a ton of new information ready to be digested, concepts of “age”, “beauty” and “the idealized” are there to explore. There is of course no fixed point in the universe to fully understand what we do and why with our visible reinterpretations of the world but there is no doubt that information is generated when the before and after can be brought together. One more reason to keep your Raw *and* Master Tiff files safe!